Put simply, an SWDW (Salt Water Disposal Well) acts not only as a disposal point for produced water, but by its very nature, is a huge water filter. In fact, it will perform much the same as the filter on a residential swimming pool. 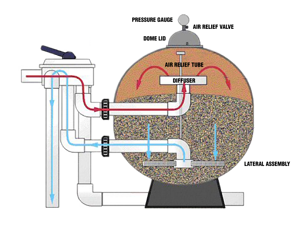 Those of you who are familiar with a pool filter know that you are instructed to monitor the pressure gain across the sand face in the filter pod until it reaches a point where it is recommended to back wash. Back washing is accomplished by reversing the flow and lifting the trash off the sand face and sending down the backwash disposal line. The backwash process may result in a small amount of sand loss in the pod, but generally not much. This concept describes, almost to a tee, how an SWDW will perform under normal operations. But if it's that simple, then we should be able to take measures that would extend the time between back washings, which will lower the LOE cost. How can we best do that using accepted simple oil field practices? Let's answer that question by first examining the history of SWDW regulation. In the early part of the 20th century, salt water was dumped in nearby streams and lakes. It didn't take long to figure out that wasn't a viable solution for disposal. At that point, operators began disposing the water in the shallow salt-water-bearing sands in the 2,000' - 3,000' depth. 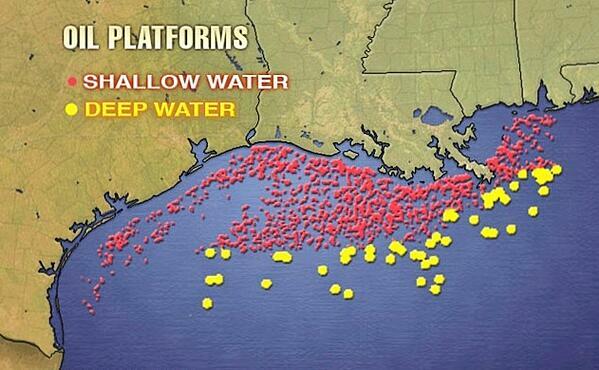 In the gulf coast region, these are generally thick, clean, and highly permeable sands that are normally pressured. Plus, they have a frac gradient of around 10.5 - 11.0 ppge, give or take. In the early days of disposal, there was little or no regard for the frac gradient, so as the sand face became soiled and pressure increased, eventually the injection pressure increased to a point where the water was being "fracked" away. Since this was not against the law at the time, it was not uncommon to see surface injection pressures of over 1000 psi with perforations in the 3000' range. That's +/-300 psi over frac gradient, neglecting tubular friction. It is vitally important to realize that this practice is no longer allowed. In fact, new SWDW regulations require that injection pressures remain below frac gradient in order to more preserve the underground sources of drinking water (USDW). As a result of this requirement, operators have had to completely rethink salt water disposal practices all the way from the separation facility to the sand face in an effort to keep the water as clean as possible to help avoid backwashing. Back washing is done with coiled tubing and nitrogen and can be fairly expensive, depending on the well location. More on this process later. The following is a summary of the critical requirements that will assure a long-lived and minimal-maintenance SWDW. In fact, an SWDW can be designed so that it will dispose of water on a vacuum for very long time, if all of these recommended practices are adhered to.